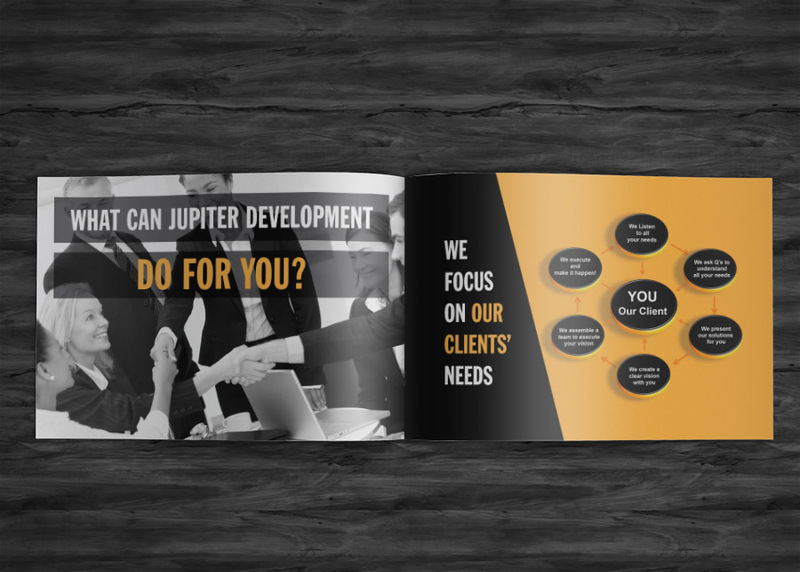 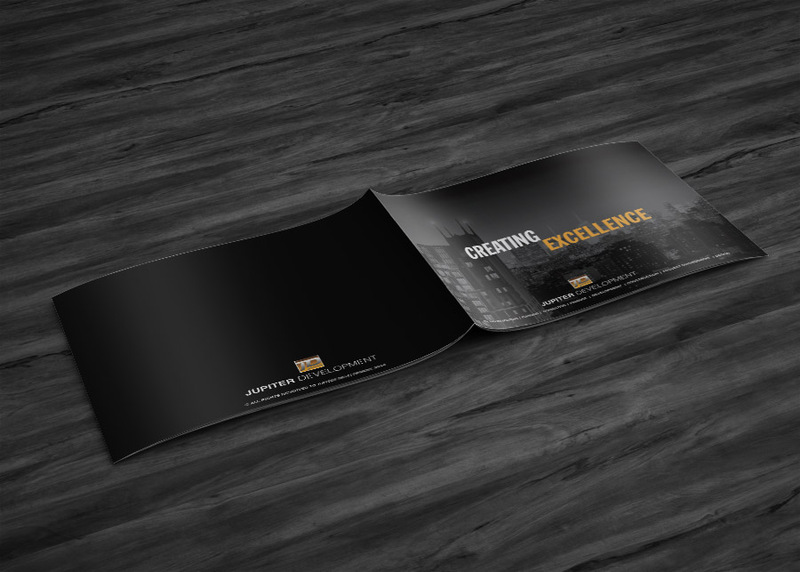 This horizontal brochure encompasses Jupiter Development’s wide range of capabilities in an elegant, modern look, allowing them to present their body of work to new buyers. 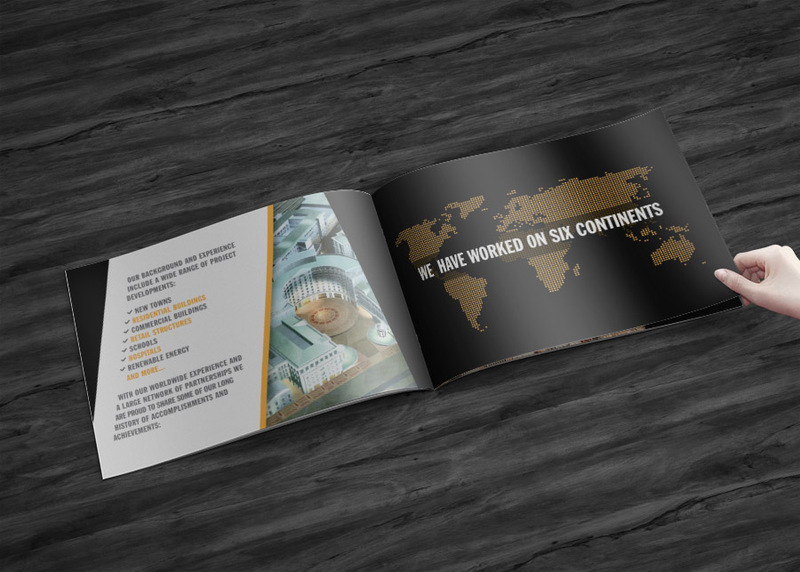 Project included image research, layout design and development, and print production. 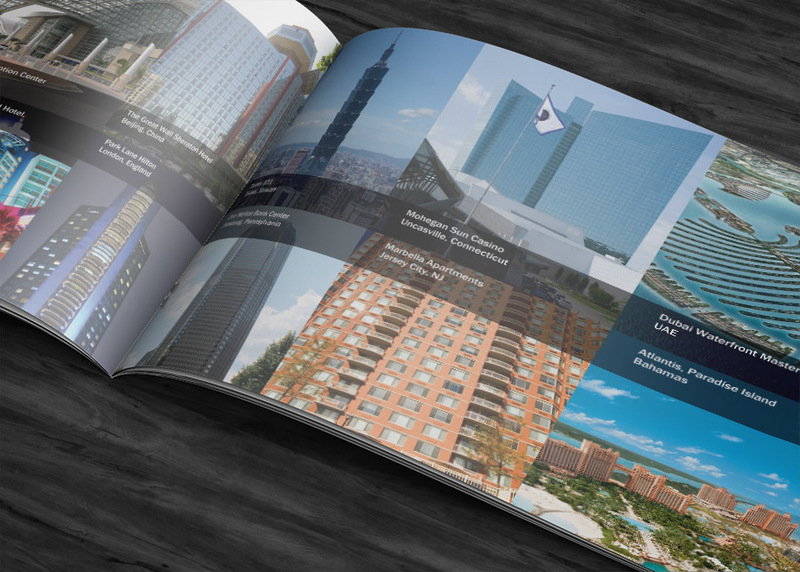 Jupiter Development develops large scale infrastructure projects including design and construction of residential, retail, commercial, hospitality, educational facilities, and medical Facilities.